- Hornswoggle's WWE Royal Rumble appearance was just a one-time deal, according to PWInsider. The former WWE Cruiserweight Champion is not back with the company. - Paige, The Rock and Zelina Vega are all in Park City, Utah today for the premiere of Fighting With My Family at the Sundance Film Festival. 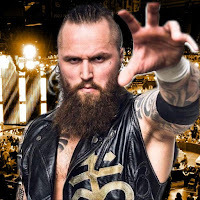 PWInsider reported that Vega's husband, Aleister Black, will be at the screening with her, so he most likely will not be at RAW tonight. It was also noted that most of the NXT talent were flown back to Florida last night, so they will not be at this week's RAW and SmackDown tapings. - PWInsider also reported that The Velveteen Dream was backstage at last night's Royal Rumble pay-per-view wearing a neck brace.